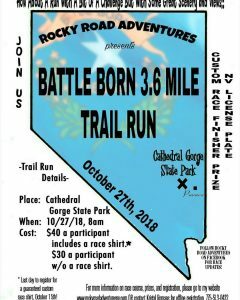 Welcome to Rocky Road Adventures next fun adventure event, Battle Born 3.6 Mile Trail Run. 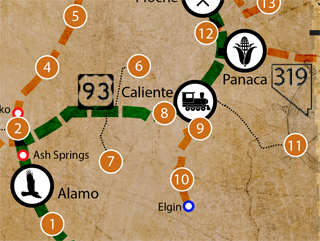 This event commemorates the day Nevada became a state in the Union, October 31st, 1864. 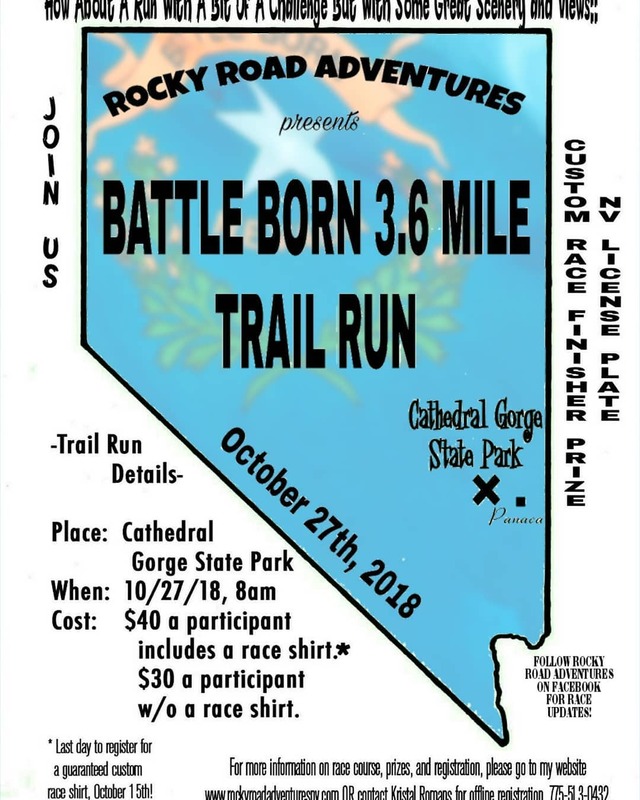 Nevada was the 36th state admitted in to the Union and this run will be 3.6 miles throughout the trails at Cathedral Gorge State Park. Great scenery and views of the state park and Panaca valley. Race will be October 27th at 8am. Cost of entry is $40 with a custom race shirt or $30 without a custom race shirt. *There will be a $5 fee per vehicle state park fee, please pile in one car if you can to save money. Also, must pre-register for shirts by Oct 15th. Please join us for this event!! If you have any questions please contact me at 775-513-0432 or rockyroadadventures@yahoo.com.